We’ve got a couple of tech stories today that show Canadian technology going cross border, and the world becoming more accessible to us here in Canada. Read on if you use, need, or just like, apps and hardware. Eventbase, of Vancouver, BC, has released an update of the official 2015 South by Southwest (SXSW) GO app, which it developed. The app brings the information needed to maximize your experience at the world-famous Austin, TX festival. A PRNewswire release explains: “An attendee checks into zones at official SXSW venues and the app identifies what’s happening nearby and people who have also checked in recently.” It even finds other attendees with similar interests — in other words, people you’ll have something to talk about with. This is part of a new in-app social networking tool. Eventbase doesn’t cater just to huge events — they say their free app (with optional paid features) is perfect for events of any size. And users don’t require any Internet connection. Watch a video below. If you’ve had trouble ordering equipment (like projectors, screens and AV accessories) online from outside Canada, the ProjectorPeople want to fix that. The company, the first to sell projectors online (way back in 1999!) 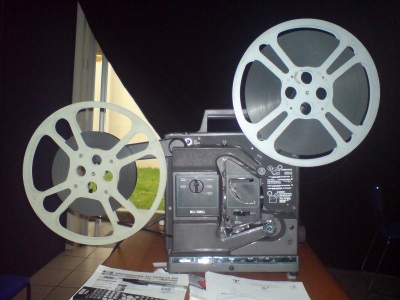 has added ProjectorPeopleCanada.ca. to their original ProjectorPeople.com. “Projector People isn’t just an online projector store but an environment where the buyer can access educational resources about the products they need. If they want to speak with someone one on one, that’s what our team of experts is here for,” said Jennifer Haskins, senior vice president of sales, Projector People, in a PRNewswire release. And yes, some of those experts speak French.